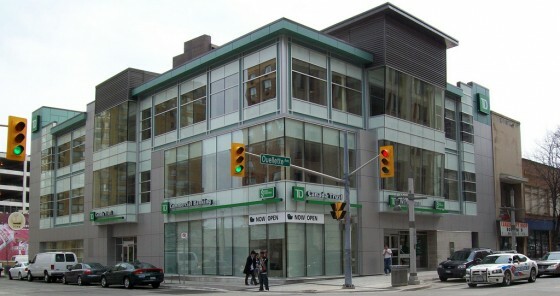 Downtown Windsor’s newest office building, the 10,000 sq ft TD Canada Trust bank at the corner of Pitt St. and Ouellette, will have its grand opening celebration, Thursday. Mayor Eddie Francis and Retired General Rick Hillier of TD Bank will make a presentation about a donation to the Windsor Regional Hospital Foundation. The new bank branch employs several dozen people, features numerous digital LCD displays as well as a lounge and beverage station, and was constructed over the course of approximately one year. Ribbon cutting and remarks about Downtown’s newest shining property will be presented at 3pm Thursday.